The Ants Go Marching, Nick and Neeka, Old McDonald Had a Farm and MORE! The Ants Go Marching, Nick and Neeka, Twinkle Twinkle Little Star and many more Bright New Day Productions videos. Tags: Animated, Counting Songs, Friendship, Narration, Nick and Neeka, Nursery Rhymes, Pictures and Live Action, Songs | Permalink. The More We Get Together is a fun traditional song Nick and Neeka are going to sing for us today. Tags: Animated, Friendship, Nick and Neeka, Nursery Rhymes, Songs | Permalink. Our Bright New Day friends are going to enjoy some sunshine and fun out on the water! 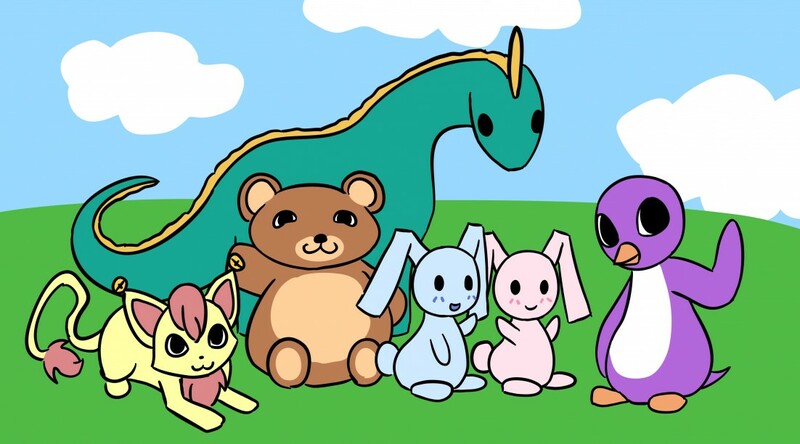 Tags: Animated, Bean the Balancing Bear, Jingle the Cat, Nick and Neeka, Nursery Rhymes, Pictures and Live Action, Pin the Penguin, Songs | Permalink. Today Neeka has invited Jingle over to play but Nick kind of changed her plans. What will Neeka do? Tags: Animated, Friendship, Jingle the Cat, Narration, Nick and Neeka | Permalink. Today we are going to learn about real friendship. Tags: Animated, Bean the Balancing Bear, Friendship, Narration, Nick and Neeka, Russo the Dino | Permalink.